I wanted to drop in and share a baby card I made for a co worker. 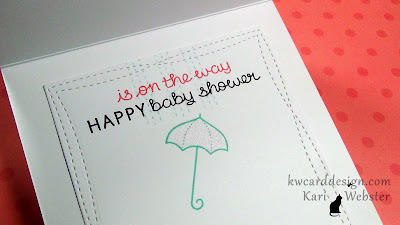 She asked me to make a baby shower card for one of her friends, and of course I was happy to do it! I actually made this on Monday evening - so no video tutorial on this one. I usually make my videos on the weekends as I have more time to dedicate to the whole process, but I still wanted to share! I thought it turned out cute!! I love using felt for this cute bunnies!! It just adds that much more to them. I have made a few cards with these bunnies in felt, and I love them each and every time!! I thought the pattern papers from the Let's Polka in the Meadow and Perfectly Plaid 6x6 pads from Lawn Fawn worked so well with this design too!! Since this was a custom design card, I wanted to make it extra special like I always do with those, and finish off the inside to compliment the outside!! 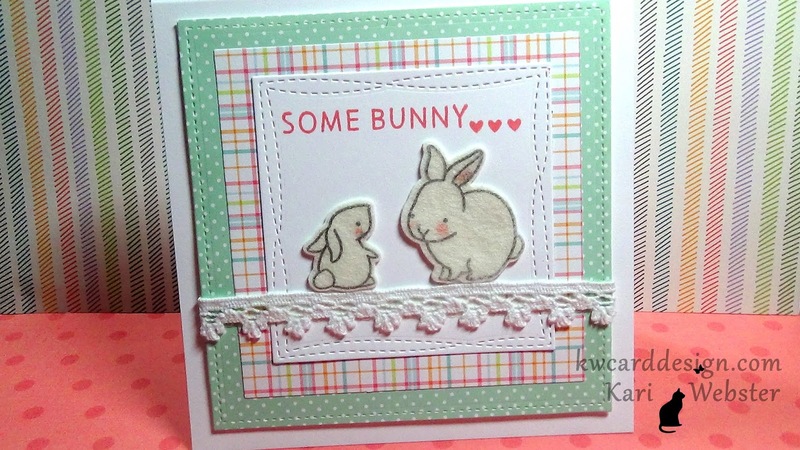 And, I love the Lawn Fawn ink colors as they match the pattern papers perfectly!! For a final tough I added some clear Wink of Stella to the rain drops and umbrella! I love the softness of this card and hope the recipient does too!! See you soon!! Real cute card, Kari. I love all the detail you put into it. Been thinking about that wonky stitched die, but I have so many shape dies already!! Trying not to spend for a bit.